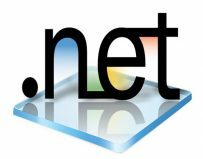 The .NET platform has been around for a while, but has recently started to gain real traction in the business community. And the results speak for themselves. Employing the right software solutions can make a big difference to the performance of any company, particularly in today’s competitive environment, where companies are increasingly forced to look closer at their own internal processes to find that all important competitive edge. Whether you operate a simple client database or an all-encompassing enterprise resource management system, you need to know that the software you are using provides the best possible means of streamlining processes, improving productivity and yielding the optimum return on investment. That is where .NET development comes in. .NET (known as “dot net”) is a software framework that was initially developed by Microsoft back in 2002. It provides language interoperability across several of the most common programming languages and operates in a software environment. Over recent years, .NET has become an increasingly popular tool for providing database solutions to businesses. The fact that it is software based means it is perfect for hosting in the cloud, and the Microsoft interface is one that is as user-friendly as you would expect, and something that will look familiar to everyone. Before undertaking any kind of investment, a business will look objectively and pragmatically at the return they can expect it to generate. This applies to a marketing campaign, a fleet of vehicles or a software development project. The right software certainly brings benefits to an organisation, both tangible and soft. These include enhanced productivity, reduced turnaround times, better inventory management, improved financial controls, greater employee satisfaction and better reporting, leading to heightened strategic insights. All this is understood, but the real question is, why does .NET offer the better ROI compared with other potential software solutions? There are a number of reasons. First and foremost, this is Microsoft. Much of the code and components already exist, meaning less development time, reduced costs and quicker payback. Secondly, .NET is highly scalable. As your business grows, your software applications can grow with it, meaning the investment will last indefinitely. .NET also has far lower maintenance costs than some solutions. After 15 years of development by the world leader in software solutions, it should come as no surprise that it has proven reliability. Also, the simplicity of the configuration settings means that the applications are easy and inexpensive to maintain. Finally, the language interoperability means that integration and communication with legacy systems is not a problem. Many companies are reluctant to take the step towards a new software solution because they feel the transition from legacy systems will be too painful. But .NET can take it in its stride. Every company needs the right software support to thrive in the 21st century economy. .NET is a solution that ticks all the right boxes for companies of every size in every sector.